Yunlai Zha is a specialist in the Intellectual Property Practice Group in the firm's Washington D.C. office. Dr. Zha's practice focuses primarily on prosecution of patent applications related to semiconductors, optical devices, nano devices, MEMS, software algorithms, machine learning, telecommunications, medical devices, robotics, and clean energy and renewables. Dr. Zha routinely interviews inventors to develop invention disclosures and draft new patent applications in the broad range of complex technologies. Prior to joining Sheppard Mullin, Dr. Zha was a technical specialist at a top international IP boutique law firm, where he managed about 200 prosecution cases. 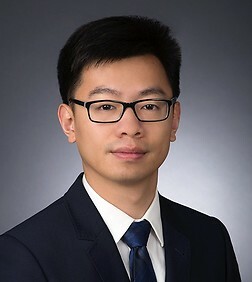 Previously, Dr. Zha was an optical engineer at a startup company working on high through-put laser-cutting of Si wafers, and worked as a research assistant at Princeton University, where he developed various optical components from IR-transparent materials. His dissertation focused on solution-processing chalcogenide materials for device applications, including various types of micron-size waveguides.